Kellogg Community College’s women’s volleyball team earned its first win of the season Tuesday with an away victory over Ancilla College. KCC’s Bruins bested the Chargers in four sets, winning set one 25-21, set two 25-19 and set four 25-19; Ancilla took set three 22-25. KCC was led on the court by freshman Jackie Mason, who had 6 kills, 9 digs and 1 ace; sophomore Kameron Haley who had 3 kills, 18 digs and 2 aces; and freshman Madison Jones who had 32 assists, 2 kills, 1 ace, 2 block assists and 8 digs. The win brings the Bruins’ overall record for the season so far to 1-12; the team’s conference record is 1-8. The team plays next at Grand Rapids Community College’s Raider Invitational this weekend in Grand Rapids. 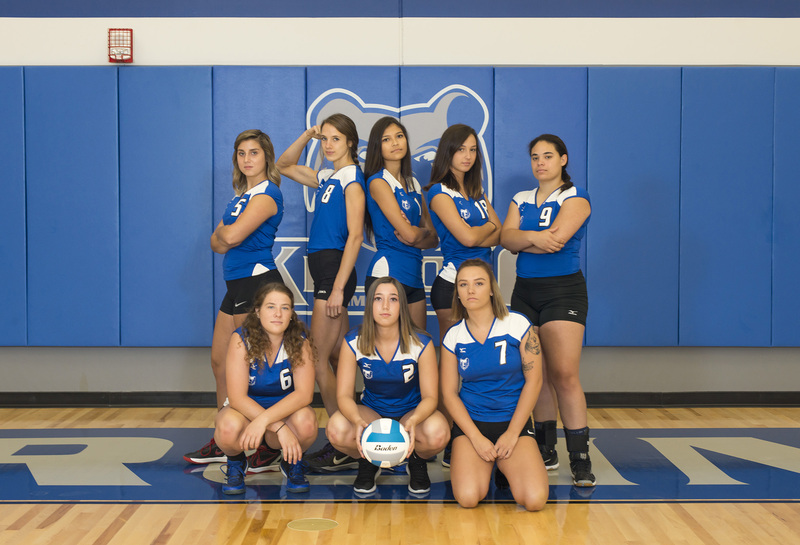 The Bruins’ next home match starts at 6:30 p.m. Tuesday, Oct. 2, against conference opponent Jackson College in the Miller Gym. All home matches at KCC are free to attend.